.NET core is really easy to get up and running. Download the installer relevant to your environment from https://www.microsoft.com/net/download/core An IDE such as Visual Studio is optional. I’m going to start with the command line version as it’s really quick to get running. It also doesn’t need much resources for a development environment, which is great as I’m currently using a Samsung Tablet with 2 Gig of RAM to write this blog post. There is a “Current” and a “LTS” version. Choose which version suites your support needs. “LTS” versions are supported for 3 years. “Current” is the latest version, and is supported for 3 months. I’m going to use “Current” here as it contains all the new juicy bits. The installer will take a minute or two to run. Once installed, the executable “dotnet” will be added to the path. 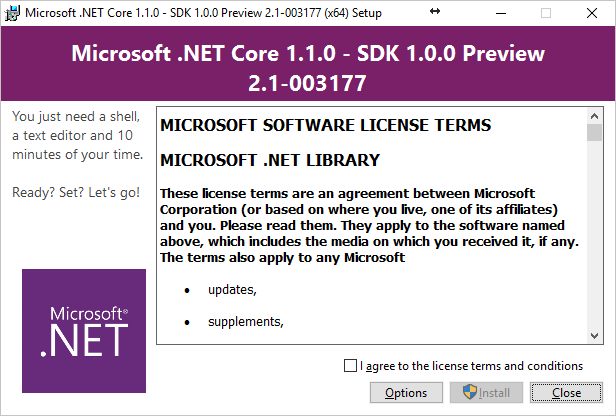 Also different version of .NET will be installed side by side. 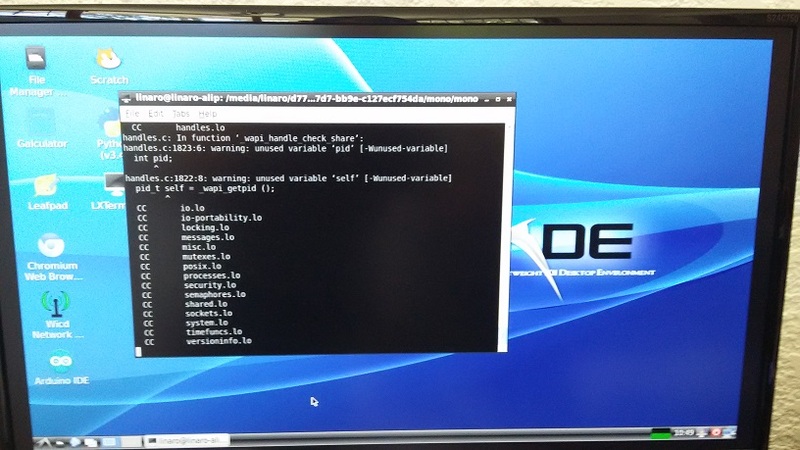 --fx-version &lt;version&gt; Version of the installed Shared Framework to use to run the application. --additionalprobingpath &lt;path&gt; Path containing probing policy and assemblies to probe for. To create a new app, there’s a “new” command. On first execution it will extract and expand, which may take a moment. By default, the “dotnet new” command will create a console app. Issuing a “dotnet restore” command, all required packages will be fetched. 02/14/2017 03:01 PM &lt;DIR&gt; . 02/14/2017 03:01 PM &lt;DIR&gt; ..
log : Restore completed in 899ms. To run the application simply type “dotnet run”. Created new C# project in C:\blog\web. 02/14/2017 03:12 PM <DIR> . 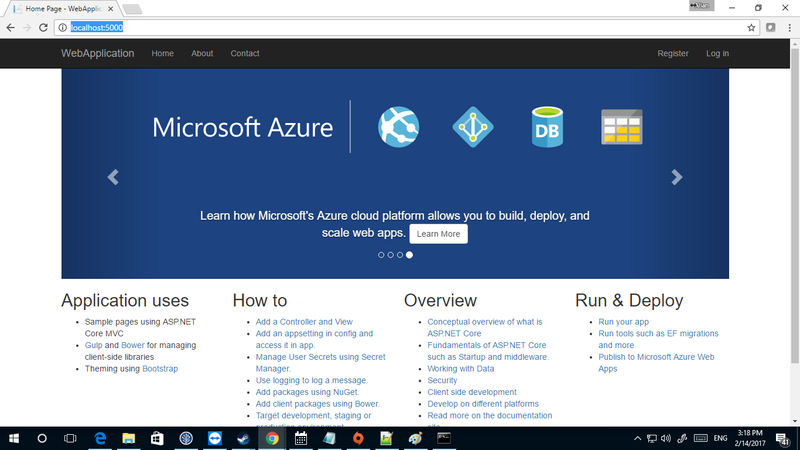 02/14/2017 03:12 PM <DIR> ..
Running the web application is simple: the “dotnet run” command will make this happen. It will even host it in web container. 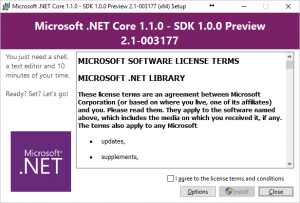 C:\blog\web\project.json(5,30): warning NU1007: Dependency specified was Microsoft.NETCore.App >= 1.1.0-preview1-001153-00 but ended up with Microsoft.NETCore.App 1.1.0. User profile is available. Using 'C:\Users\apead\AppData\Local\ASP.NET\DataProtection-Keys' as key repository and Windows DPAPI to encrypt keys at rest. 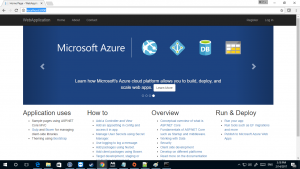 Browsing to the URL presented: “http://localhost:5000” will display the ASP .NET core default landing page. This page is also quite useful as it contains links to various learning resources. .NET core development can be done using any text editor, or in the cross platform lightweight editor Visual Studio Code, or if you prefer the full featured IDE Visual Studio.